From its initiation in 2016, the Shanghai Project has been an experiment, a laboratory for testing the boundaries of existing assumptions, and for considering how ideas might expand beyond the confines of individual silos of knowledge. For 100 days, Seeds of Time engages with the public in Shanghai through an exhibition, a publication and public programs such as screenings, performances, workshops and social interventions. Facing the specter of extinction, the Shanghai Project seeks to inspire discussion and action regarding the sustainability of our futures in the 22nd century and the potential for solutions through interdisciplinary collaboration. Curated by Yongwoo Lee and Hans Ulrich Obrist, the Shanghai Project Chapter 2 exhibition Seeds of Time was inaugurated on 22 April 2017, at the Himalayas Museum in Shanghai. Taking its title from the documentary of the same name, which shares the project’s call for action regarding the climate situation, the exhibition seeks to explore sustainability so as to better understand possible solutions for urgent environmental and social problems. 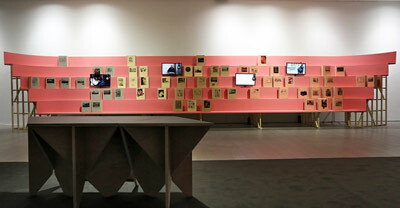 Seeds of Time is a single chapter within ongoing investigations by Shanghai Project participants. With each new chapter, the ever-unfolding structure develops further beyond the biennial format to which it first responded. 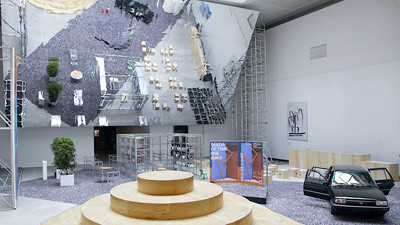 The exhibition presents works by five Root Researchers and their interdisciplinary teams, as well as more than 40 other participating researchers. The contribution of French anthropologist, philosopher and sociologist Bruno Latour’s team “Reset Modernity! 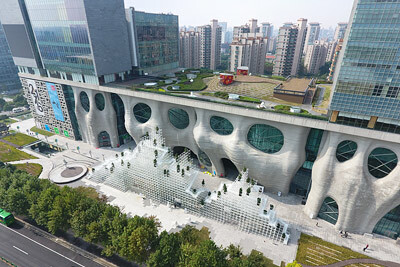 Shanghai Perspective” concentrates on a set of issues that modernity encounters at a time of deep ecological mutation. The project was presented in the format of a series of workshops in May 2017, as a continuation of his long-term exploration of modernity and its multi-faceted discrepancies. Sophia Al-Maria Root Researcher Team’s performance “The Limerent Object” was inspired by her video work of the same name. The performance combines video, dance, text and an installation in a series of offerings intended to future-proof and bless 2116. The exhibition will feature documentations of Otobong Nkanga’s project “Landversation,” including images and a video interview. Already fully realized in the fall of 2016, the project began in Shanghai with three handcrafted tables as surfaces and vehicles to support locally sourced materials and objects, which served in provoking conversation. Zhang Haimeng, Managing Partner of McKinsey’s Shanghai offices, designed an online, game-like experiment to allow mobile device users to invest in the formation of futuristic enterprises. The exhibition will showcase 10 illustrated ideas from the project “Fast-Forward Future 2116,” which was fully realised in Chapter 1 of the Shanghai Project. 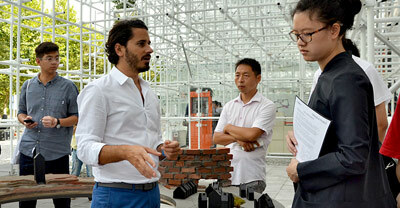 Exploring the causes and effects of ecological transformation, Shanghai Project participants, address sustainability through the lens of interdisciplinarity. 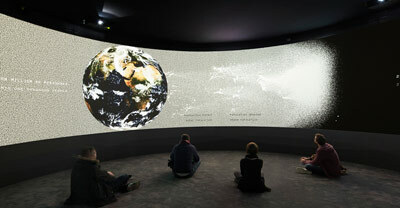 Diller Scofidio + Renfro’s “EXIT” which was commissioned by the Fondation Cartier pour l’art contemporain, co-quantifies and displays global human migratory conditions and causes, and explores their far-reaching consequences. 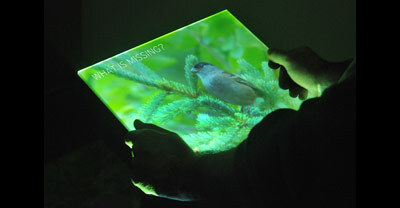 Liu Chuang engages with the research of Thomas Hartung and David Pamies as well as that of Stuart Kim, shedding light on our efforts to find scientific solutions to environmental problems, while also suggesting the limits we encounter. Responding to the role of inventor and visionary Leonardo da Vinci, Li Naihan has developed “Mind Palace,” a virtual reality experience that explores the potential methods and practices of future polymaths. Yoko Ono’s long commitment to spreading peace and love with humanity is embodied in different forms in the exhibition, including the performance “Bells for Shanghai,” sound installation “We’re All Water” and ongoing project “WISH TREE,” offering a glimpse of hope and comfort in the midst of intense discussion about how to affect change. The documentary “Seeds of Time” follows Cary Fowler as he champions the creation of the world’s first global seed vault. 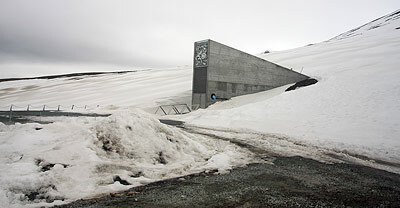 Located in Norway and a vital defense against rapid loss of crop diversity, the Svalbard Global Seed Vault consists of a seed collection on a scale larger than any other. © Images: Courtesy of the Shanghai Project.